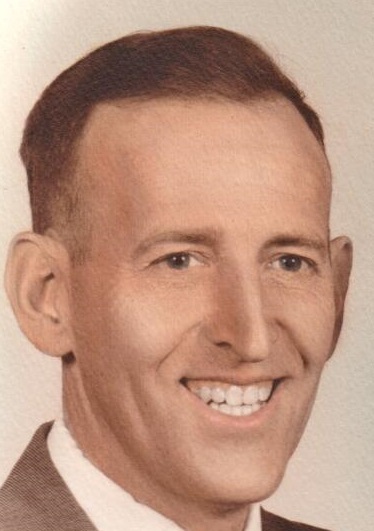 Henry Robert Schrecongost, 94, of Fenelton, died Monday, December 3, 2018 at home. He was born July 22, 1924 in NuMine, Pa to the late Burton John and Nellie (McGaughey) Schrecongost. Mr. Schrecongost was a laborer at Logan Clay Products as well as in farming. He also worked for Evangelist Dusty Rhoades for several years. He was a member of Butler Baptist Temple, now known as New Testament Baptist Church, since 1961, serving as a Deacon for several years and as a Sunday school teacher for 23 years. He loved reading his bible and listening to gospel ministers on the radio & television, and serving the Lord. He enjoyed gardening, hunting, fishing, and most of all, spending time with family. Left behind to cherish his memory includes his loving wife of 73 years, Evelyn A. (Hollenbaugh) Schrecongost, of Fenelton; son, Robert E. Schrecongost, of Fenelton; daughter, Barbara J. Schrecongost, of Fenelton; son, Henry “Verne” (Deborah) Schrecongost, of Chicora; daughter, Carolyn (Walter) Mazar, of Butler; daughter, Marlene (Charles) Twentier, of Fenelton; grandchildren, Randy and Brian Schrecongost, of Butler, Ron (Jessica) Twentier, of Harrisville, Jennifer (Matthew) McCorkle, of Sarver, and Jessica (Kyle) Smith, of Saxonburg; great-grandchildren, Gracie Smith, Colton and Mallory Twentier, and John Henry McCorkle. Also surviving is his brother, Walter (Dorothea) Schrecongost, of Fort Myers, FL; and sister, Agnes Roofner, of Waynesburg, Pa.; as well as numerous nieces and nephews. He was preceded in death by his parents; infant son, Donald Leroy Schrecongost; and brother, Laird Schrecongost. Friends will be received from 2-4 p.m. and 7-9 p.m. on Thursday, December 6, 2018 at the F. Duane Snyder Funeral Home, 119 Bear St., Worthington. Additional viewing will be held on Friday at Worthington Baptist Church from 10 a.m. until time of funeral service at 11 a.m., with Dr. Steve Fisher officiating. Interment will be in Dayton Glade Run Presbyterian Church Cemetery in Dayton, Pa.